Edwin Harris was a pioneer of the Newlyn School, the group of English artists influenced by the common contemporary French practice of painting working subjects in a realist manner and in the open air. Born in Ladywood, Birmingham, Edwin Harris was educated at the Old Edgbaston School, where he met and befriended W A Breakespeare, who would also become an artist. Harris studied at the Birmingham School of Art from the age of 14, alongside Walter Langley who, three years his elder, would be dubbed the ‘father of the Newlyn School’. 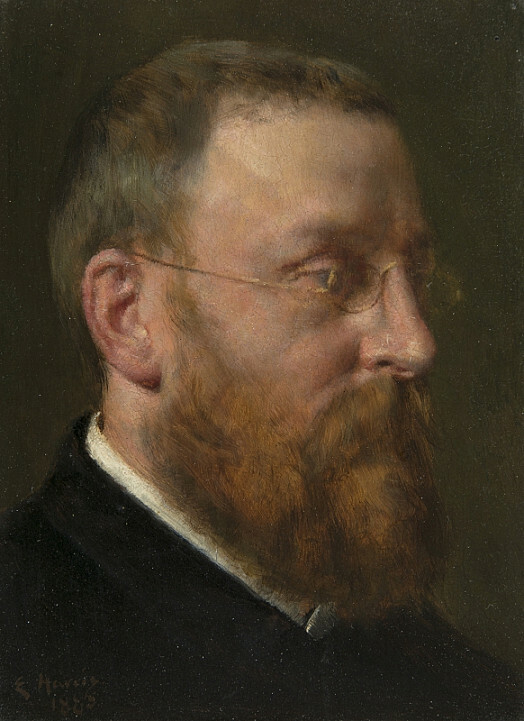 He exhibited at the Royal Birmingham Society of Artists from 1877, and a year later began to teach, first at the Birmingham School, and then in his own studio. However, during the winter of 1880-81, he went to Antwerp to complete his studies at the Académie Royale des Beaux-Arts. (Frank Bramley, Norman Garstin and Fred Hall, all to be significant members of the Newlyn School, were present at the same time.) On his return to Birmingham in 1881, he took a studio close to Langley in Paradise Street, and established a local artistic reputation. He helped to found the Birmingham Art Circle (probably through discussions which took place in his own studio). In the same period, he made extended painting trips to Brittany (in the company of Breakespeare), and Newlyn, in Cornwall. He discovered Newlyn ahead of Langley (1881), though Langley was the first to settle there (1882). Harris joined him in 1883, and from that point they shared between them the subjects that Newlyn offered; Harris created images of domestic harmony and well-being in counterpoint to Langley’s more dramatic and pathetic narratives. Harris sustained contact with Birmingham, continuing to exhibit at the RBSA (ARBSA 1885, RBSA 1888) and selling through a picture-dealing uncle of his wife. The atmosphere of Newlyn began to sour for him following the early death of his wife in 1887, and in 1895 he left for Wales. 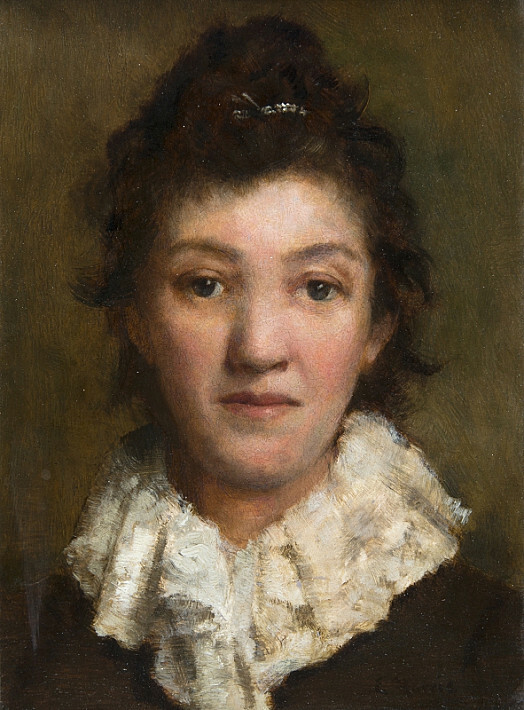 Specialising increasingly as a portraitist, he lived and worked in Cardiff and Newport, and then in Bristol, before returning, in 1898, to Birmingham, where he died.